During that 50 plus years, it was conclusively determined that thymoquinone modulates nine of cancer’s ten characteristics. Yet not a single Phase I human tumor study has been performed with black cumin’s active ingredients as of 2014, according to this Source . A meta-analysis study review titled, Anticancer Activities of Nigella Sativa (Black Cumin) analyzes several studies that had covered many types of cancer. 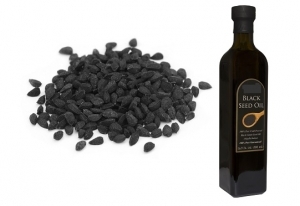 It’s a concise overview of many peer reviewed published studies of black cumin’s positive effects on cancer. You can access the full study here .